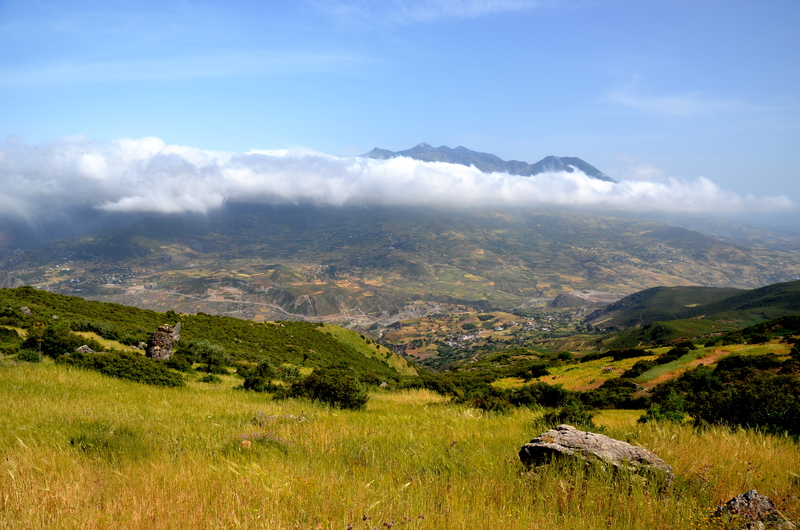 One day in May, we left Tetouan brooding under grey clouds and drove the spiralling tracks to the calcareous mountains. The land around us unfurled in hundreds of greens and browns, and the sun lit it up, progressively warming the scene below us, until shards of light bounced off the looming rock face and hurt our eyes when we stopped to take it in. We stretched our legs, scuffing white dust into plumes around our knees, and looked at the tiny buildings climbing out of the valley and up the mountainside ahead of us, straggling amongst the green with those higher up seeming to look back to beckon the ones below. We could see the peaks where the macaque groups live, impossibly hard and hostile in their angles and altitude and forbidding tones of grey, and we could see our destination – a village just below, where we thought the Saddle Ambulance might be good news. 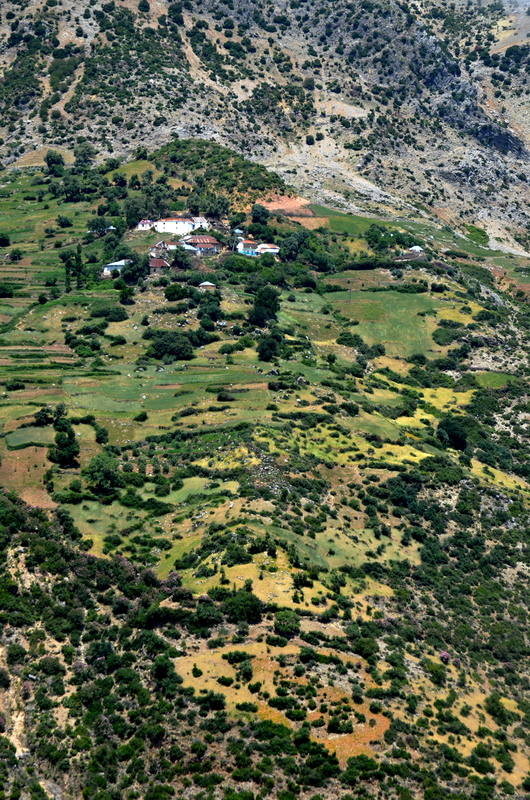 On we drove to Izlan, a slow ascent on unwilling tracks that ground and slipped beneath our wheels. We stopped in the shade of Mehdi’s house, and he was there to greet us. Sitting against his whitewashed wall, we told him why we’d come, and the wary, curious dogs sat at a safe distance, as if they wanted to know as well. Inside, we met his family, stooping to get through tiny doorways and distribute kisses: one on one cheek, two on the other. In the cool, dark room at the front of the house, we talked to Mehdi and his wife, and they laughed with us as our attempts at Arabic stumbled awkwardly off our tongues. They told us about their neighbour, who broke her femur yesterday, and the five hour walk to hospital for the twenty people who took it in turns to carry her, strapped to a wooden board. They looked at the photos of the Saddle Ambulance, and wondered who would bring it to them. We told them we would try. 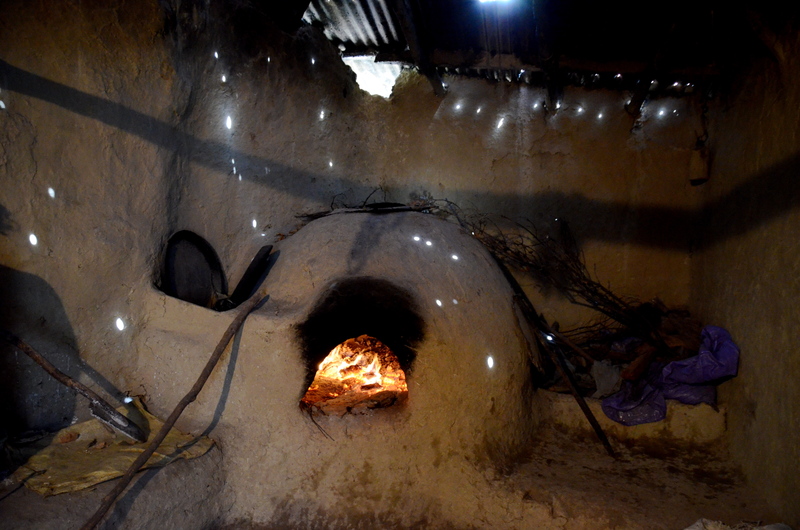 In the kitchen, the bread oven glowed, rich pink light licking the edges of flat loaves, and the holes in the ceiling let fairy lights dance around the room as we told Mehdi’s daughter about the saddle. She thought it was a good idea, too. We departed with kisses and photos together, and promised to be back soon. The road we drove back down was only two years old, and we knew, now, that people died before it was built; before even five hour walks to hospital were possible. We laughed about our usual things, and dozed when the sky grew darker, but the silences in between united us, just one thing on our minds. The Saddle Ambulance, invented by Peter Muckle, is a project of the UK non-profit SaddleAid, which aims to reduce mortality in remote communities by providing low-cost mule saddles that are modified for safety and comfort for both mules and people. Already making a difference in Afghanistan, Peter and SaddleAid are now expanding to remote rural areas in Morocco, partnering with Barbary Macaque Awareness and Conservation, as we already have a strong relationship with communities there. The above is an account of the first reconnaissance trip carried out in collaboration, where we asked whether the saddle is necessary, and found that, more than we could have imagined, it is. ← Morning with the monkeys.